Hello dolls! I hope you all had a wonderful weekend! Btw when I say this I truly do mean it. These past two weeks have been tough for all of us in the U.S. of A. Whether you are in tune to the news or just reading your feed on social media its been an emotional two weeks. For some of us it has affected our mood, concentration and motivation in different aspects of our lives. I write this post in hopes of providing comfort and ways to not allow issues of the world or our own personal life affect our goals or take you off course. Being in tune with media is both a good and bad thing. It is good to be informed of what is going on in your communities, the nation and internationally and get involved but also there is a time when you need a mental break. I know I do! For me I allowed the past two weeks of media coverage, twitter and other social media channels to consume my attention and free time so much that it has caused me to lose focus on my priorities and my passions (such as my blog). This past Sunday I went to church and made a priority to make the day about silencing the noise, my thoughts and feelings and to relax a bit. After church I went to Barnes and Nobles and walked around aisle by aisle for about an hour looking for a book to grab my attention. I found myself in the autobiography and fiction literature aisles. I ended up purchasing The Autobiography of Malcolm X and Pride and Prejudice. Quite the choices huh?! Oh...side note: one of my life goals is to have a library in my home. I am a book nerd! I spent my day reading and rearranging my room and I felt myself again. Rejuvenated and ready to get back to business. I wanted to share a post that if your feeling down, find yourself procrastinating or having a lack of motivation for whatever reason, I want to help motivate you to get back on track. If it helps find a quiet space and meditate. For me quiet time is early in the morning. 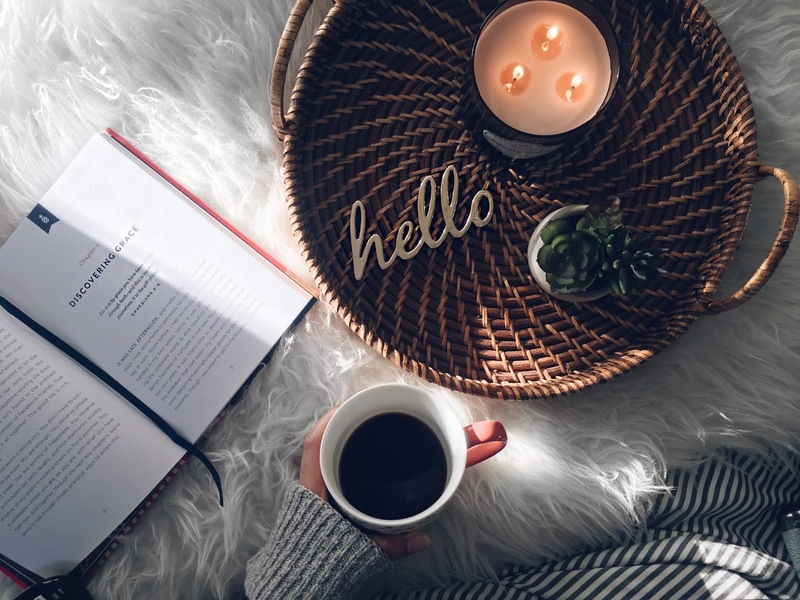 I love to make a cup of coffee and just sit in my bed or on my couch with no background noise and either read a little or just sit quietly. Meditation is great to center your mind and focus on the right things for the day. It can be for 5 minutes or an hour but allow your mind to start your day on a clean positive slate. Most importantly turn off your phone, electronic device or television. All it takes is one pic or tweet to catch our attention and the next thing you know we are falling deep into the social media rabbit hole. Its so healthy to disconnect from social media for a little bit and just spend time with loved ones and enjoy time. Time is precious and we do not get it back. I am a firm advocate of uplifting others and I am slowly allowing myself to open up and be vulnerable because this form of "nakedness" can touch someone in a positive relatable way. I hope I was able to ramble in a way that was comprehendible and helpful to you guys.